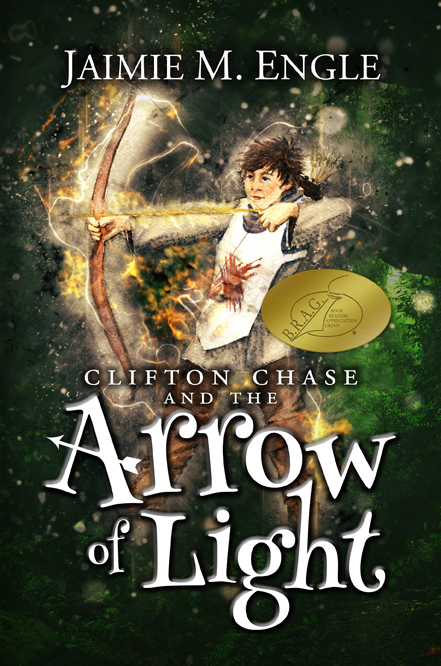 Beacon Audiobooks, a division of Spectra Records, has signed a publishing deal with award-winning author Jaimie Engle, of Melbourne, Florida, to nationally distribute the digital rights for the audiobook format of Clifton Chase and the Arrow of Light. The book deals with friendship and bullying through a boy’s fictitious historical fantasy adventure to 1485 England, where he rescues King Richard’s nephews with the help of a magic arrow, a dwarf, and a mystical creature called Simurgh. The audiobook was recorded and produced in Melbourne, Florida, by Tony Wray of Right Hand Productions with cover art illustrations by Debbie Johnson and design by Philip Benjamin of Benjamin Studios. Engle is an anti-bullying advocate who speaks with students across the state about their part in bullying through the power of their words. She is continually seeking partnership opportunities with schools and community programs that promote anti-bullying education. The book received a BRAG Medallion award in late 2015 for excellence in independent publishing. For more information about the audiobook, to purchase copies, or to request an author visit go to www.jaimiengle.com.